The tradition of timber is still one of the best decking options available on the market. Carefully pressure treated to help reduce the risk of splitting or twisting and to Use Class 3 for a longer life. Our Redwood tantalised decking is external grade timber product, slow grown in Scandinavia and is therefore better suited to the UK climate than the cheaper Whitewood decking which is fast grown and therefore more likely to shrink, warp, and split. This unique design also is a dual sided board, you choose which side you want to install either smooth or grooved. We have a range of sizes between 3m and 5.4m lengths. 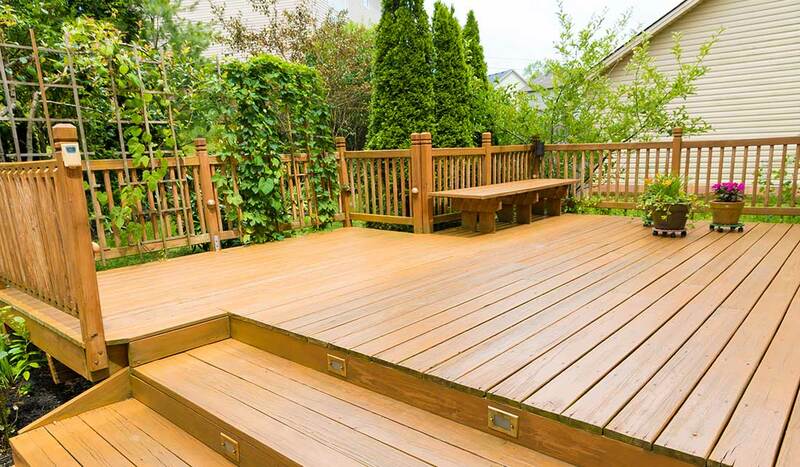 Maintenance: Always keep clean and recoat all sides with deck oil to help prevent splitting, warping and rotting. We recommend that you oil your decking 6 months after installation with decking oil, this will not only seal but protect your decking during the season from Algae and water damage, but this treatment will also increase the slip resistance.